Washington, DC—Emory University Chancellor Michael M.E. Johns, MD, will participate in a panel discussion Monday, Oct. 4, on Capitol Hill as part of the U.S. Department of Health and Human Services National Summit On Health Care Quality and Value. The daylong summit will provide a forum for physicians, healthcare providers, employers, members of Congress, and consumers to discuss possible ways to improve the value of health care; that is, delivering better quality health care at a lower cost. The summit will begin at 9:30 a.m. at the U.S. Capitol Visitor Center­ Auditorium. Following the morning’s keynote address by Kathleen Sebelius, Secretary, U.S. Department of Health and Human Services, the first of six panels will convene to discuss specific health care issues as they affect the value, quality and cost of U.S. health care. Johns will participate in a panel on “Promoting Innovation to Achieve High Value, Efficient Health Care.” Johns and his fellow panelists will focus on new models of coordinating care and restructuring health care delivery to improve patient outcomes and control costs. Other panel discussions will examine provider payment methodologies and payment reforms that reward high quality, efficient health care; sources of variation in costs of care; strategies for developing effective multi-sector partnerships to advance health care quality; and workforce diversity, training, and lifelong learning to support the provision of high quality care. Before becoming Emory University’s fifth chancellor, Johns led Emory’s Woodruff Health Sciences Center from 1996 to 2007. He directed a comprehensive strategy that positioned the Center as one of the nation’s preeminent academic health centers in education, research and patient care. From 1990 to 1996, Johns was dean of the Johns Hopkins School of Medicine and vice president of the Medical Faculty at Johns Hopkins University. In addition to leading complex administrative and academic organizations to new levels of excellence and service, Dr. Johns is widely renowned as a catalyst of new thinking in many areas of health policy and health professions education. 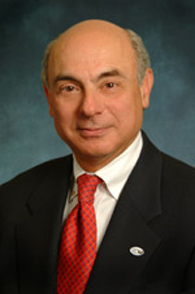 He has been a significant contributor to many of the leading organizations and policy groups in health care, including the Institute of Medicine (IOM), the Association of American Medical Colleges (AAMC), the Commonwealth Fund Task Force on Academic Health Centers, the Association of Academic Health Centers, and many others.